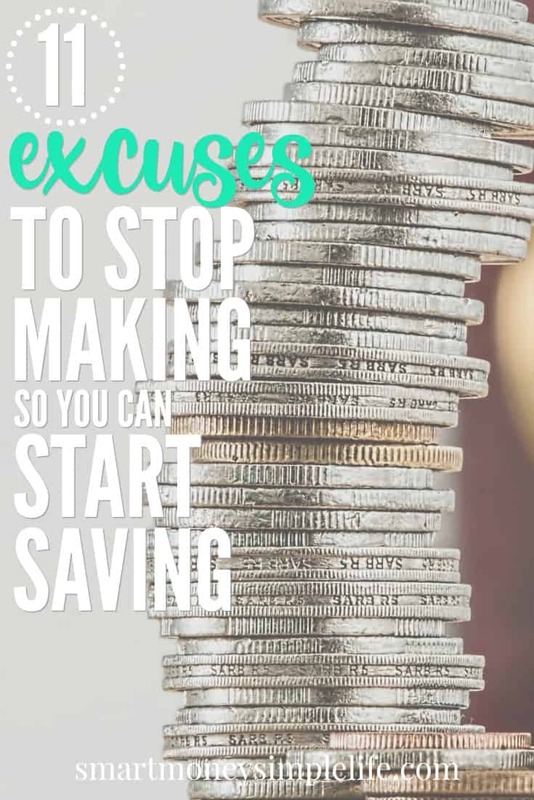 Start saving more money today by dealing with the financial excuses you tell yourself. Saving money for retirement or anything else can seem like hard work and it’s true, you need discipline and motivation to make it happen. But, the most important thing you need to take control of before you can start saving more money is the excuses you tell yourself for why you can’t save money. And, let’s be honest, we’ve all been tempted to drag out these excuses at some time in our lives. Today is the day to take control, stop making excuses and start saving money. Your future depends on it! I know this one intimately. I’ve thrown this excuse at my inability to save many times in the past. It’s easy to think you can’t afford to save when it feels like you’re barely making it from one payday to the next. The sad thing is, most of us approach saving from the spend first and save what’s left theory. A theory that rarely results in anything being saved. The best way to deal with this excuse is to save first. And, remember, it doesn’t have to be hundreds of dollars. 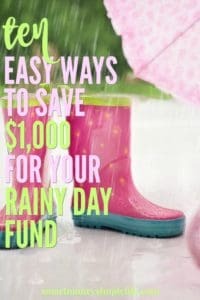 If money is really tight, start saving just a few dollars every pay day into a separate account. Once you start saving, you’ll begin to develop the habit and mindset that will make you want to save even more. This is the most popular excuse for not saving for retirement. The truth is, the years between 25 and 50 can fly by and before you know it, retirement is staring you in the face. The earlier you start saving for retirement, the more time compound interest has to work its magic on your savings. Compound interest means that the interest on your savings begins to work for you by earning interest, too. Over time, your savings will snowball so the earlier you start, the more you’ll have when you retire. Again, if you feel like it’s a stretch financially, start saving small amounts into your retirement account every time you get paid. Save first and then spend. Let that become your mantra. So when is the best time to save for retirement? Right now! One day, I’ll get married and I won’t have to worry about money. The truth is that money is one of the key ingredients in relationship stress. So, statistically speaking, there’s more chance of money causing a problem in your relationship than a relationship solving your money problems. Besides, divorce is an all too real possibility so you need to actively work on securing your own financial well-being. So, start saving now and maybe you’ll be lucky enough to meet someone who shares your commitment to saving first and spending later. Wherever you are in the world, I’ll bet there’s been a lot of talk about the social security aged pension, how much it is, how hard it is to survive on and how much more difficult it’s becoming to qualify for it. If you’re retiring in the near future (less than five years) you’re probably going to be able to retire on social security. What sort of lifestyle you’ll have though is debatable. If you’re still paying a mortgage or have other debts or just live in an expensive area, you might find you’re on a diet of ramen noodles and weak tea. Don’t rely on a government handout. Start saving now, even if retirement is close, so you can ensure your quality of life doesn’t suffer when you do retire. Sure. You only live once, but… That doesn’t mean you ought to spend every cent you earn on having a good time. At some point, you’re going to want to settle down, buy a house, raise a family, and eventually retire. 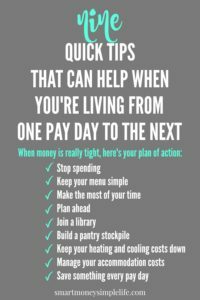 None of those things will be easy to do if you have no savings in the bank. You can still enjoy life, just make sure you save first, spend later. If you do that, you’ll enjoy life no matter what age and stage you are. Nothing in life is guaranteed, including inheritances. Anything can happen between now and the distribution of your loved one’s estate. Not least of which is that it’s eaten away by legal fees, medical bills or other debts. And, as my daughter recently discovered, a parent’s new partner can come along and take the lot. Don’t put your faith in receiving an inheritance over saving for your own future. Treat it as a possible windfall not the foundation of your financial plan. Start saving now and you’ll be in a much better position to provide for your own future needs. The truth is, the market is never in the ‘perfect’ state; it’s always fluctuating. If your excuse is that you’re waiting for the market to be perfect before investing into a retirement fund, or managed fund or even directly into shares, you’ll never invest. If you’re planning on investing in the stock market, you need to do it for the long term which means you’ll see lots of peaks and troughs over the time of your investment. Over the long term, you can expect solid returns but nobody has a crystal ball so there are no guarantees. If it’s the potential risk that’s stopping you from actively investing for your future, look into less volatile investment options. Whatever your risk comfort level, there’s an investment option that will suit you so chat to an investment adviser or financial planner to see what’s best for you and start saving for your future, now. Taking advantage of the equity in your home might seem like a good idea but there are lots of ways that plan can go horribly wrong. A housing market crash is just one possibility. It’s happened before, it could definitely happen again. There are many cities where housing prices are so grossly inflated that there’s a very good chance of a correction happening that could rob you of your equity. The other downside of this plan is if you sell your home, where will you live? Will you rent or maybe downsize and buy a smaller, cheaper home? The other thing to factor into your calculations is selling, moving and buying costs. You might not have as much left over as you originally planned. Owning your own home is a great way to build a solid financial base for your future but relying on its equity to see you through your retirement is very risky. Having a family can be expensive, especially if you plan to support them through their education. Even if you’re not paying all their higher education expenses, you can still expect a drain on your finances. Don’t let that be an excuse for not starting a plan for saving for your own future. There are many ways to finance a university education, not so retirement. If you rock up to your retirement party without already having a plan for paying your bills, that is, investments, passive income or a specific and well-funded retirement fund, you’re on your own. It’s natural to want to put your kids’ needs first but there’s a reason the airline safety instructions advise you to fit your own oxygen mask first. Think about that when you’re deciding your saving priorities and put your effort into long term savings. No matter how much your kids’ love you, they won’t be impressed if you need to move in with them when you retire! I don’t know about your experience but for me, plans and reality rarely match up. Even if you love your work, you might not have a say in whether you keep working or not. Poor health (yours or your spouse), redundancy or some other catastrophe could pull the rug out from under that plan. That’s not to say choosing to work after retirement age isn’t a plan worth pursuing but you need to be the one in control of the situation, not some anonymous group of bean counters. They don’t care about your plans at all! 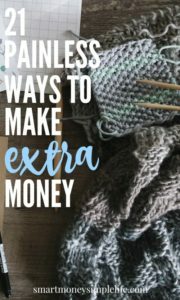 There’s no reason you can’t start a side hustle now to provide extra income for paying down debt and investing for the future that can also become your retirement job. Having multiple streams of income is always a good idea as it creates a solid financial base, now and in the future. The best day to start saving for your future was yesterday, the next best day is today. If you keep telling yourself you’ll start saving tomorrow it’s almost guaranteed you’ll never start. If you haven’t already started, start saving now. Even if you begin with small amounts, you’ll be developing a habit that will make saving a natural part of your life. Automate your savings and you won’t even have to think about it. The most important thing you can do for your financial well-being is to become self-reliant. Having to depend on meagre handouts from the government, a charity or relying on family to support you will make it impossible for you to live life to the fullest. Don’t let these excuses rob you of a wonderful future. Start saving now. Did any of those excuses sound familiar?